We can see a beautiful sunset in Bali Beach. Almost all the beaches in Bali has views of sunset during the afternoon. Because Bali is a small island that is easy to explore. Backed with the support form the island to see the sunset. Sunset during the afternoon in Bali Beach very spectacular when seen in place and the right time. 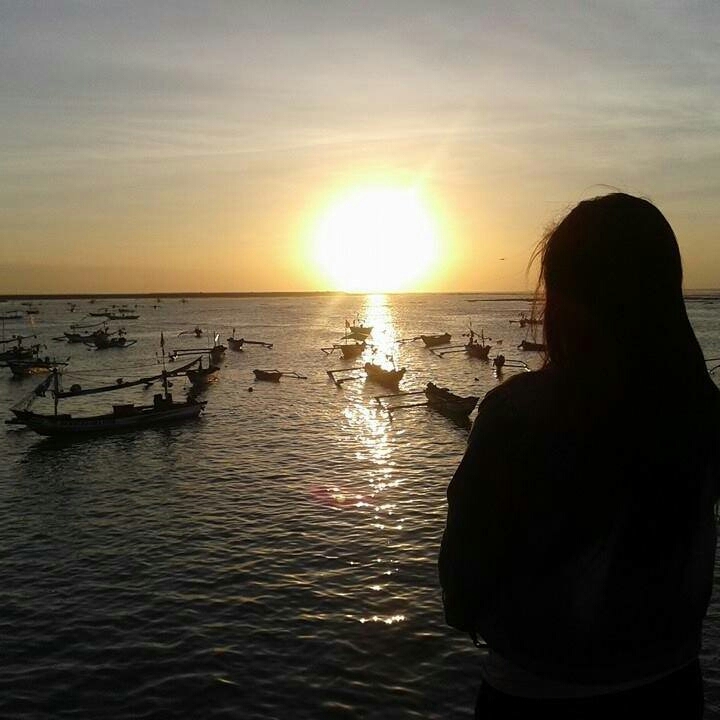 The best place to see the sunset in Bali Bali beach is in the south and north. Different regions, the difference is also the best time to see the sunset. If you want to see the sunset in the southern Bali, the right time is during the months of September to April, because the sun is in the south of the equator. So the appearance of the sun is not blocked by the mountain in Bali. If you see the sunset in the northern Bali, the right time is the time from May to September. Because the sun is in the north of the equator. If the sun is located in the north of the equator, the sunset would be very nice views of North Bali region. If seen region of southern Bali, the sunset is difficult to see, because it will disappear behind the mountain before the time comes.